Today marks the launch of Global Entrepreneurship Week, a celebration of the innovators and job creators who launch startups that bring ideas to life, drive economic growth and expand human welfare. Today marks the launch of Global Entrepreneurship Week, a celebration of the innovators and job creators who launch startups that bring ideas to life, drive economic growth and expand human welfare. GEW aims to inspire people throughout the globe to explore their entrepreneurial potential. TechnoServe agrees that entrepreneurship is a key component to improving the lives of people across the world. Our programs help enterprising men and women in the developing world to gain the skills and resources they need to launch or expand their businesses. These small and growing businesses create benefits that ripple through their communities. Suppliers gain access to new markets. Local workers have new job opportunities. Potential entrepreneurs find inspiration from the success of others. These benefits can be seen in the story of Sindi Mbambo, a South African woman who launched a business to provide healthy foods to her community. Sindi entered a TechnoServe business plan competition, which helped her learn critical skills and gain access to financing that allowed her to expand her business. Today, Sindi’s business is creating jobs and market opportunities for local farmers. Learn more about Sindi’s story. We’ll be sharing other stories throughout the week that show how entrepreneurship can create real and lasting change in the developing world. 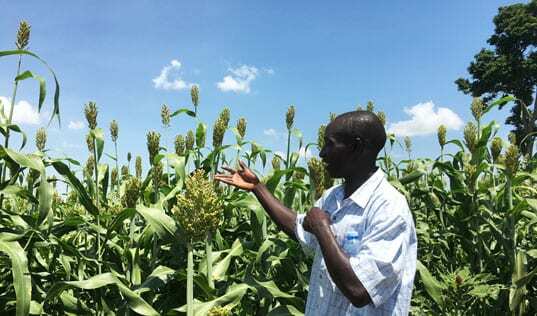 In Uganda, TechnoServe is partnering with Nile Breweries Limited and the Sustainable Food Lab to identify climate risks in sorghum and barley supply chains. Since 2006, TechnoServe and Nespresso have worked together to develop sustainable coffee supply chains around the world. 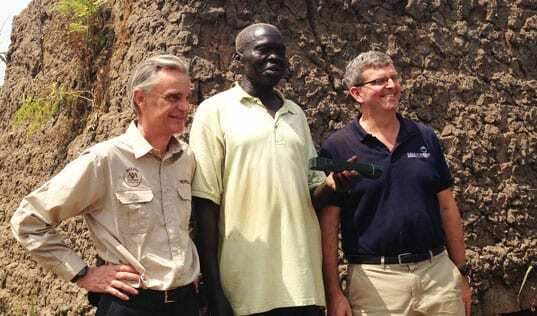 This Earth Day, TechnoServe CEO Will Warshauer and Nespresso CEO Jean-Marc Duvoisin discuss how this partnership is helping smallholder coffee farmers build resilience to the growing threats of climate change.